Now that you have the Sensything device in your hand, you need to program it first. At a beginner level, we would recommend you to begin with the Arduino IDE. Using this development platform, you can program Sensything and make it your very own Data Acquisition device. You can use any sensor and collect data, that can be displayed in the serial monitor. 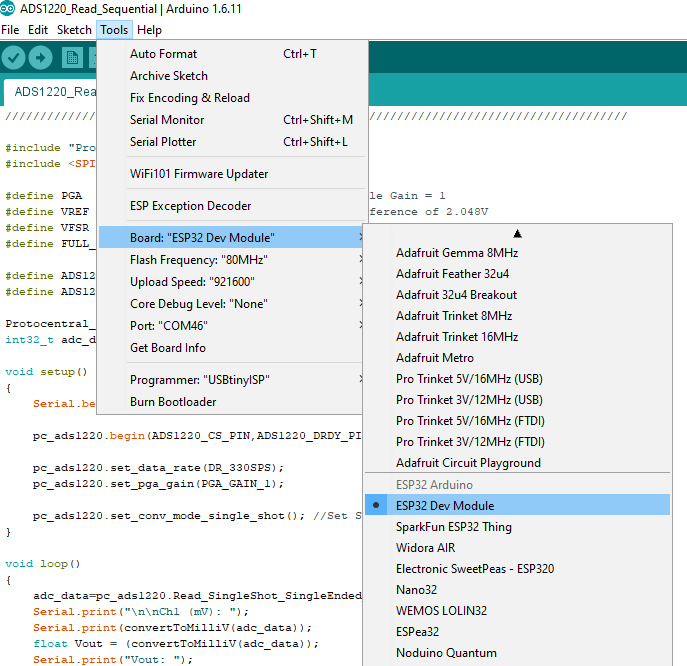 We have listed down a list of steps that can guide you in setting up the Arduino for your Sensything device. Note: Once you have downloaded, install the IDE and ensure that you enable most (if not all) of the options, including the drivers. Next, you will need to connect the Sensything board to a system. This is done via a USB connection. When the Sensything is connected, the operating system should recognize the board as a generic COM port. 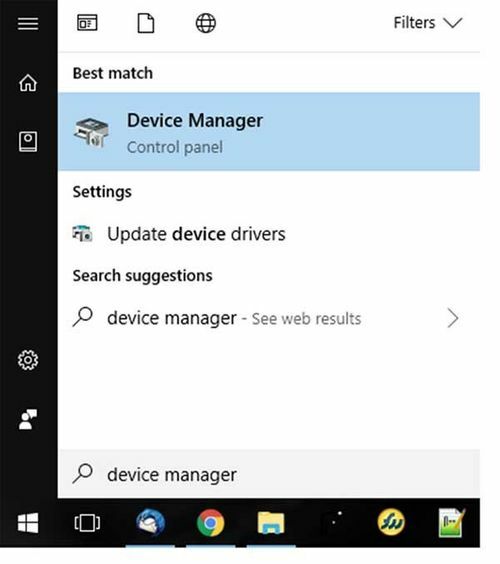 The easiest way to do this is to type Device manager into Windows Search and select Device Manager when it shows. 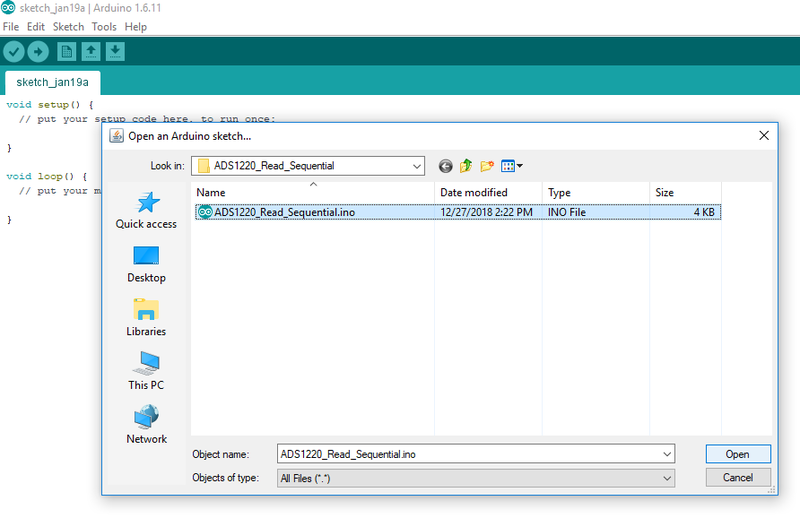 In the Device Manager window, look for a device under Ports (COM & LPT) and chances are the Arduino will be the only device on the list. You can start by loading the IDE. When it is loaded, navigate to Tools > Board > Esp32 dev module. Next, you must tell the IDE which COM port the Sensything is on. To do this, navigate to Tools > Port > COM51. Obviously, if your Sensything is on a different port, select that port instead. A header file is generally used to define all the functions, variables and constants contained in any function library. Define the pin number of ads1220 Chip select and DRDY. In the loop function below we get the ADC data for Channel 0, the same logic can be applied to read channel 1, channel 2 and channel 3. 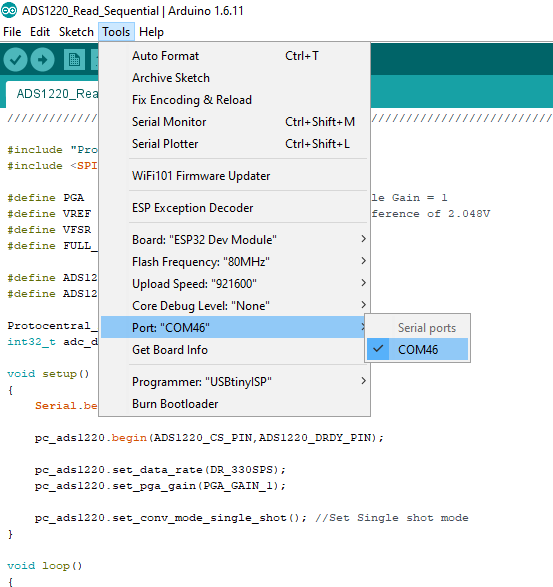 Getting the above code is as easy as installing the Arduino library https://github.com/Protocentral/Protocentral_ADS1220 and loading the simple ads1220 data acquisition example from the Arduino IDE’s menu:File > Open > Protocentral_ADS1220. 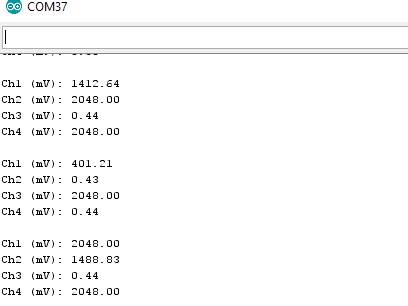 Compile the code and check for compilation without error and upload the code to Sensything so as to print the 4-channel analog readings in the Serial Monitor.